Volunteer Profile: Erin Cooper or, … and I want my scalps! It could be said my relationship with Erin Cooper has been a roller coaster ride. Erin was my closest neighbor during the 10 weeks of training. He became friends within minutes of meeting each other in Philadelphia. She told me she was from Pittsburgh – one of my favorite U.S. cities – and I wanted to learn more. 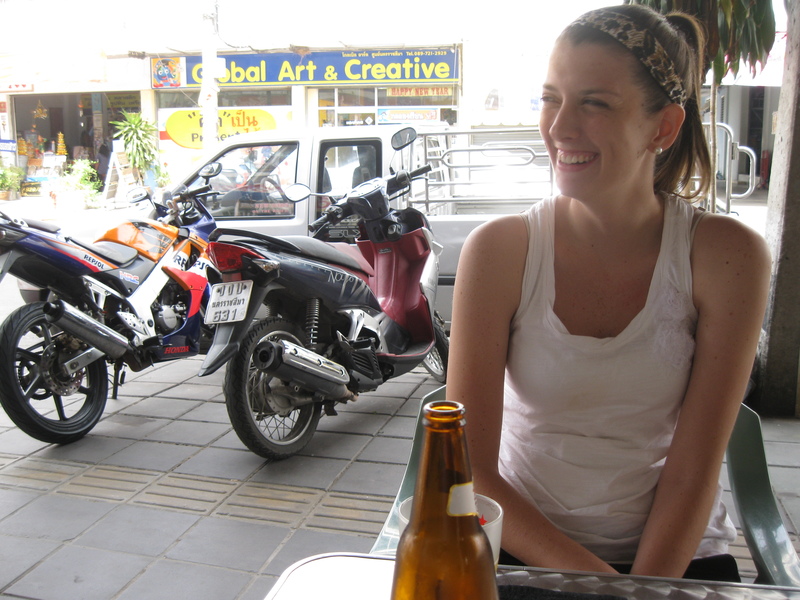 When I got her cracking up at a Woody Allen joke on our second day in Thailand, I knew I’d found a friend. By the fourth or fifth week of training, we were spending a lot of time together – mostly on the Saturday afternoons after training ended at noon and before our 6 p.m. curfew. Occasionally our two language groups would merge and I’d make a fool of myself doing my Conan O’Brien string dance or imitate what a passing dog was saying (“I’m infected.”) Every time, she’d laugh. The laughter goes both ways. That girl cracks me up. 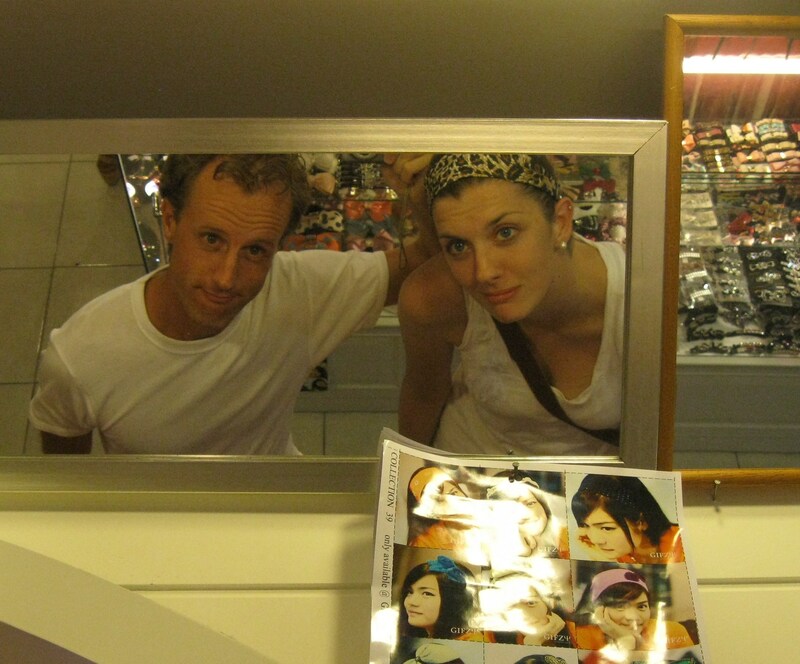 It wasn’t until the seventh week, we decided we should be an official Peace Corps couple. Cute, huh? It all began on our first night in Bangkok to which I’m still shaking my head and asking myself, “Is it even possible to have that much fun?” After four months of dating (and a one-month break in between), we decided being simply friends was better for us living on opposite ends of a country where the phrase “the bus is full” has yet to be uttered. 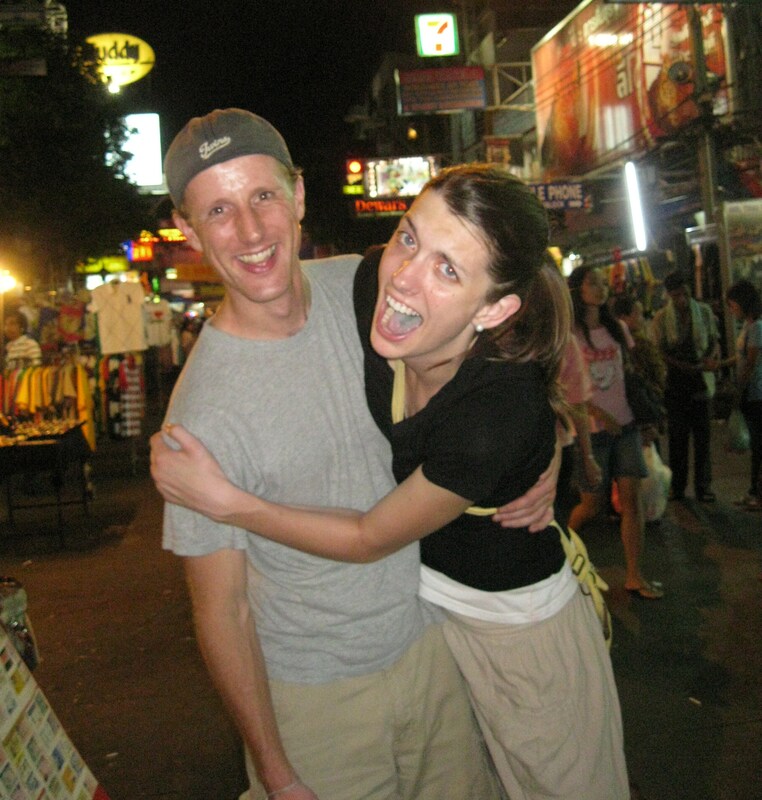 We had way, way, way too much fun on our first night in Bangkok. 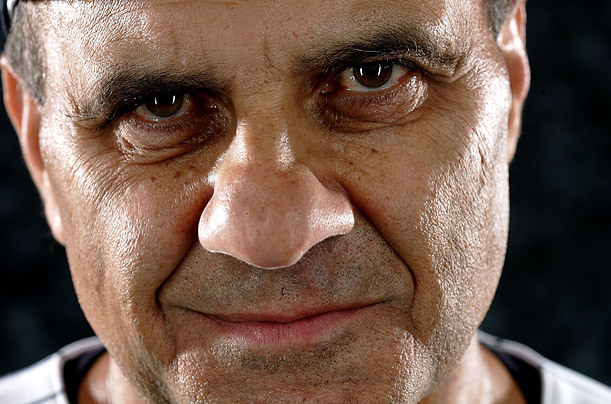 Joe Torre - not unlike Erin's host sister. We like to say we’re the same person since many times we’re sharing the exact same thought or we want to do the same thing at the same moment (it usually involves eating pizza). We reminisce about the great United States of America and its many cuisine options. We salivate over Bob Evan’s biscuits, Pillsbury cinnamon rolls and the cereal aisle of any grocery store. 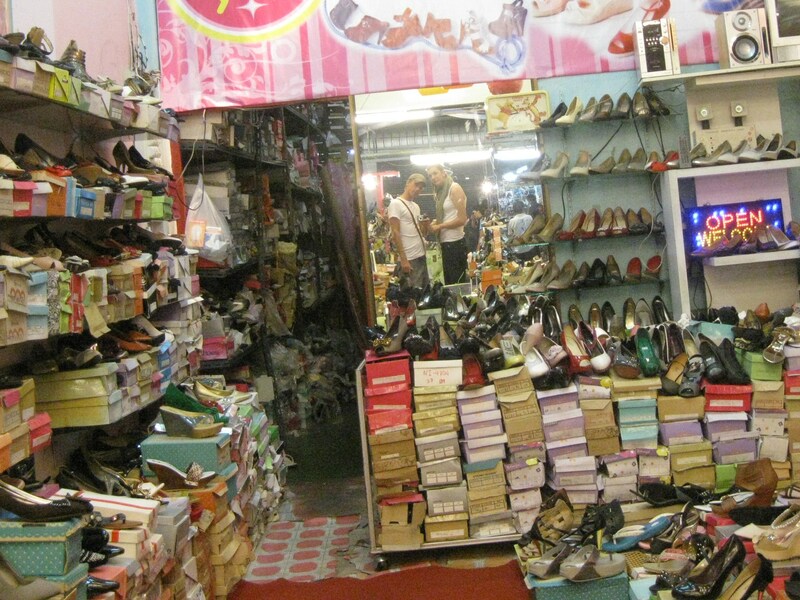 Shoe shopping in Korat. Yep, she's tall. Erin has an awkwardness that is unbearably cute. 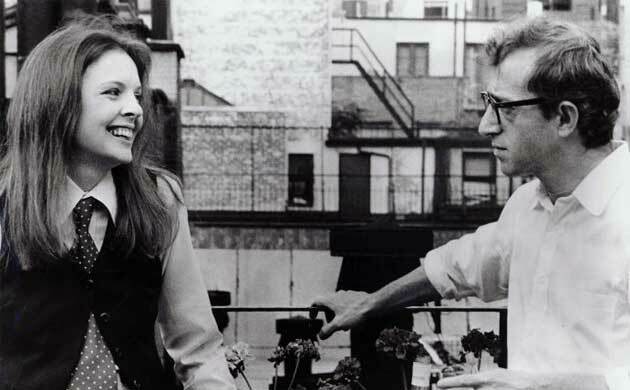 I have a hard time watching Annie Hall and not thinking of her. She looks similar to Diane Keaton and even acts like Annie Hall, too. While visiting her at her host family’s house in training she even pulled a line straight from the Woody Allen classic before she’d even seen the film. I continued the monologue as Allen did. Erin looks similar to Diane Keaton. Can't say I look like Woody Allen, but we have the same height difference. We spent last weekend together in Korat, a sort-of-halfway-between meeting spot. I figured out how much I enjoy Erin’s company as I spent three days dress shopping with her and couldn’t have had more fun. We ate lots of pizza, had a few beers, quoted almost every line from Inglorious Basterds (“…and I want my scalps!”), and all the while the smiles and laughter did not cease. Here’s hoping this roller coaster ride never stops. This entry was posted in Peace Corps and tagged erin cooper, friends, peace corps, pittsburgh, thailand by Jeff Jackson. Bookmark the permalink. Or keeper. Apparently it wasn’t ’nuff said.